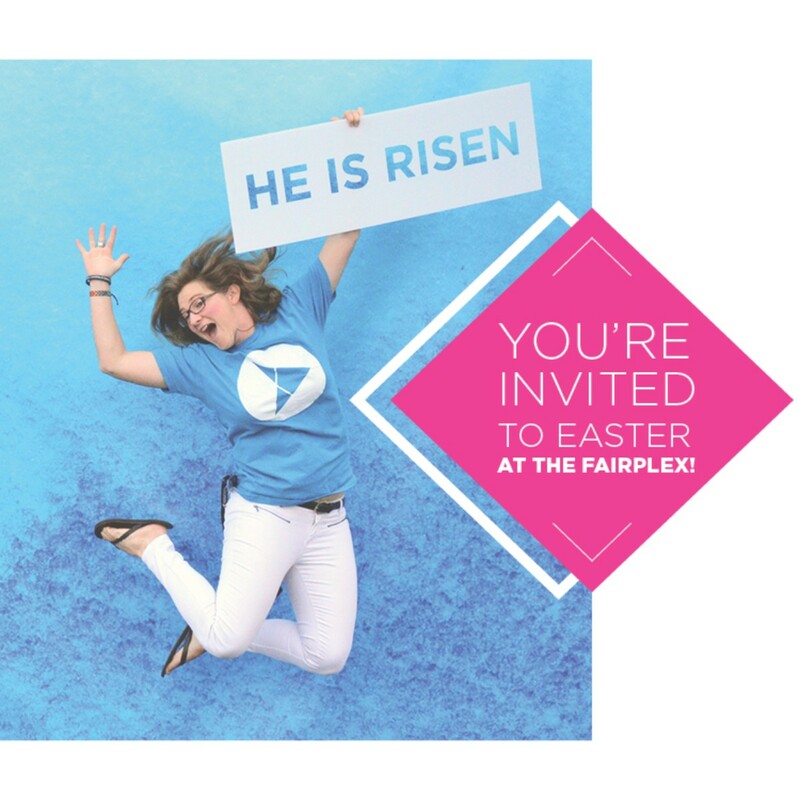 Two outdoor services at 9 and 11am at Fairplex in the Grandstand. Enter at Gate 17 on McKinley Ave.
We will have baptisms as part of both services. If you’d like to be included in this baptism or desire more information, contact (909) 629-5277 x3021. Click an image to download to your device and share! Yes!!! It seats 10,000. Let’s fill it! There is plenty of FREE parking when you enter at Gate 17! Parking attendants will direct you to the closest possible parking. Will handicap parking be available for those with special needs? Yes, parking attendants will direct cars with handicap placards to designated handicapped parking very close to the south entrance. A ramp and elevator will take you to shaded handicapped seating atop the center sections of the Grandstand. Gate 17 will open at 8am. Come early and enjoy free coffee and donuts prior to both services. Easter activity bags are provided for children through Grade 4. Families are welcome to sit together anywhere in the Grandstand, however, Section D is a designated family seating area. An indoor family room option, where children can move about and play, is located adjacent on the Mezzanine level. Parents can enjoy the service on a large screen. Both family options are accessible via the south entrance. Fairplex does not allow strollers on the escalators or in the Grandstand. Use the south entrance elevator to take your stroller to the Family Area or park your stroller at the north entrance. Casual to dressy, it’s all appropriate! Will there be baptisms both of the services? 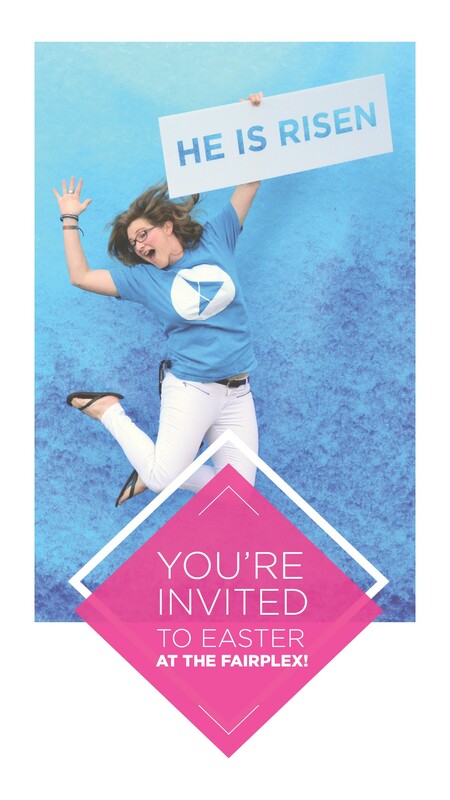 Yes, we will have baptisms as part of both services! 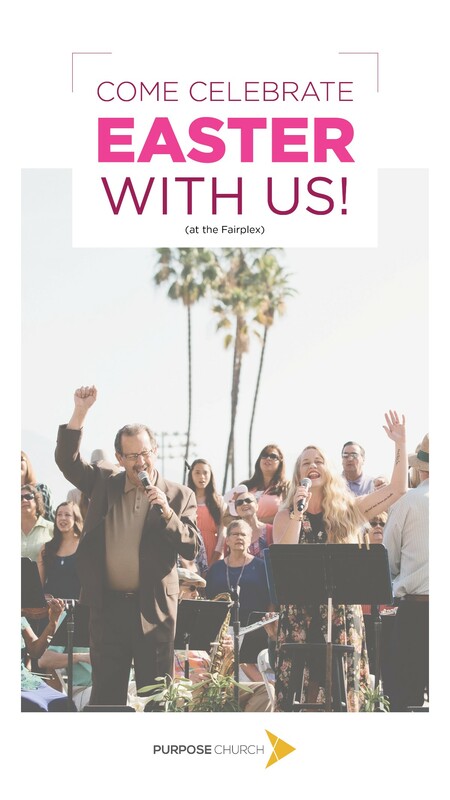 If you’d like to be included in this baptism or desire more information, contact (909) 629-5277 x3021. 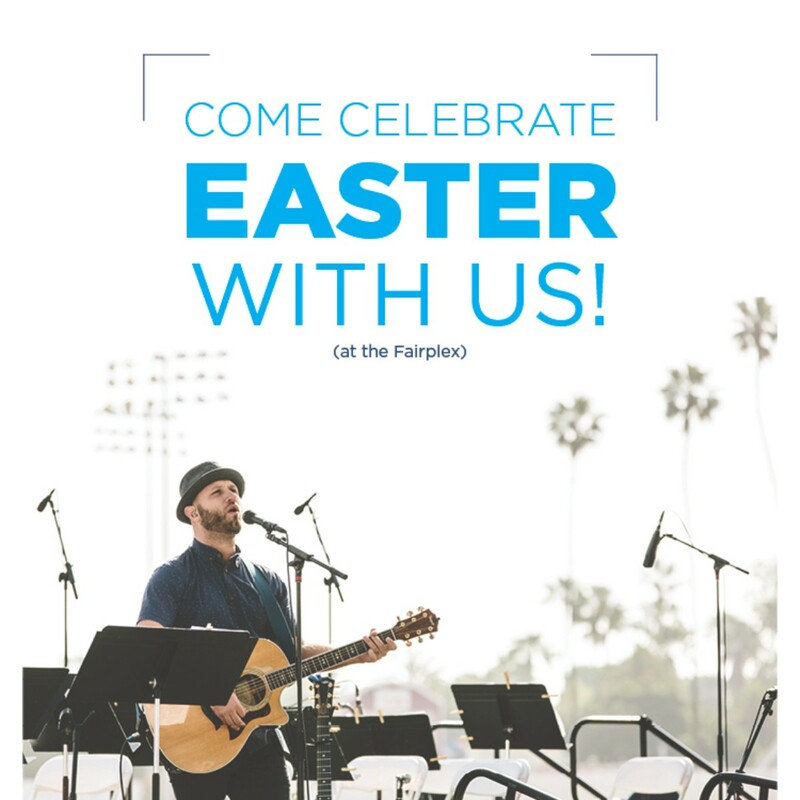 If there it rains Easter services will be held at the Pomona Campus. 601 N. Garey Ave. Childcare will be provided. Services will be at 7:30, 9, and 11. If there is a question of rain, please call the church office at (909) 629-5277 after noon on Saturday, April 20.